Can't stop thinking about this photo since I saw it in the @trophycupcakes feed yesterday. 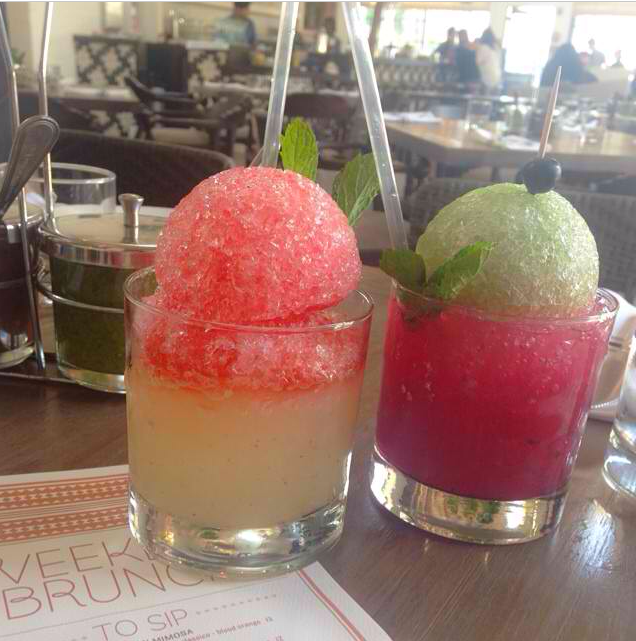 They are SNO-CONE COCKTAILS. How awesome does that sound? Apparently they are from Gracias Madre, a restaurant in L.A. I want to go to there! • Stumbled on this blog for the first time recently and really like her style. (And her hair--gorgeous!) For starters, I am fully going to copy this outfit. • Behati Prinsloo's braid! So pretty. • I've wanted a Moroccan wedding blanket forever. But now I'm going to satisfy the need with these awesome Moroccan Wedding BASKETS. Beautiful and functional storage = win. • This casual, jeans-and-sweater combo is pretty perfect. • Wow. Just, wow. This list of "30 Things I've Learned" by Nick Crocker is a powerful must-read. So many of these (especially #1, 10, 15, 24, and 30) really made me think. • Cool way of making people take the stairs. So smart! • I adore these vintage gold-plated forks and knives. They would be so pretty to use for party appetizers. • Here's what Disney princesses would look like in real life. • I love iced coffee. (Particularly Grady's Cold Brew. Anyone else?) Here's a really interesting read on why iced coffee tends to be so pricey. • Why National Food Days (i.e. National Donut Day, National Ice Cream Day, and so on) are basically just total b.s.